Management of Moorland, grassland, woodland and landscape features are main themes bringing together priorities with strong synergies. Focusing on improving: quality, function and connectivity between these features/habitats. Priority habitats: Woodlands, moorland, heathland, purple moor-grass and rush pasture and species rich grassland habitats. Including SSSIs: Exmoor Coastal Heaths and Exmoor Coast and Woods. Priority species: Woodland bird assemblage, fritillary butterflies, bats. Close synergy with the habitats described above. Historic environment: The area is know as Lorna Doone country, this important cultural heritage will be promoted. There are also many below ground features and Principal Archaeological Landscapes which should be promoted and preventing damage is of specific concern when considering NFM and land management practices. 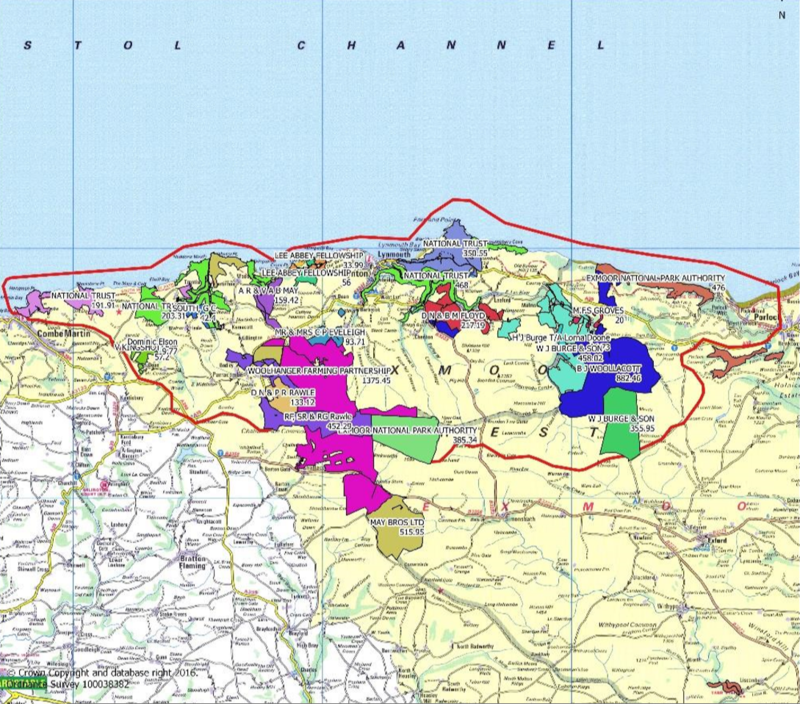 Landscape: Features within Exmoor Landscape Character assessment. The coastal landscape and steep valleys parallel to the coast with enclosed grassland and woodlands are unique. Consideration of the landscape within the management of priority habitats and when exploring opportunities for NFM or woodland creation will be included within events. Promoting management of habitats and features for multiple benefits including environmental opportunities such as flood management, biodiversity or commercial benefits that improve the resilience of businesses such as grazing management or woodfuel will bring together the CS priorities. Launch event discussions highlighted interest in small scale woodland machinery, scrub management on steep slopes and trialling cell grazing in uplands.